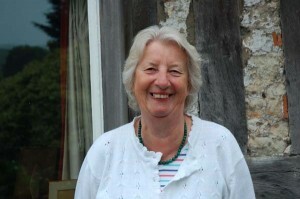 Olivia Woodfield moved to East Meon with her parents in 1943, and lived in The Tudor House until 1960. The interview with Olivia was conducted by Michael Blakstad in November 2013. The transcript is available as a PDF and the audio as an MP3 file. For more about the Woodfield family, click here. For another account of Olivia’s memories of the Tudor House at that time, click here. Transcript, with timings, of Oral History interview with Olivia Tottle.